Contact any of our members for information on how to get the process started. As a family professional, Annette works with the collaborative family law team to achieve respectful, timely, and cost effective resolutions. Annette specializes in helping separated parents develop effective means of resolving disputes, to ensure that their children successfully adjust to the family transition. Annette provides mediation to achieve child-focused parenting plans, parenting coordination, reunification counselling, child interviews obtaining views and preferences, section 30 assessments, and domestic violence screening. Annette’s approach is informed by her professional training, play therapist practice (2001-2007), her service on the panel for the Office of the Children’s Lawyer (2003-present). Patricia Bidgood is a registered Individual and Family Therapist, and accredited Family Mediator with more than 25 years of experience. Patricia helps parents generate creative parenting plans and solutions that enhance effective co-parenting relationships, while mitigating the negative effects often associated with divorce on families. Patricia provides: divorce coaching, adjustment counselling with children and teens, parenting coordination, family reunification, and domestic violence screening for mediation/arbitration. Services are covered under many extended medical benefit plans. Patricia lives in Waterloo region with her husband and has a blended family of six adult children. About Steven: I enjoy working with people to help them find meaning in their lives. I first trained and worked as a minister and pastoral counsellor. I then went on to become a Registered Marriage and Family Counsellor, trained in psychoanalytic theory for individual therapy, as well as becoming a Mediator. I am interested and experienced in working with people from all religious perspectives and backgrounds. In my practice, I see people of all ages, as well as groups. Appointments available at our offices in New Hamburg, Stratford and Kitchener. 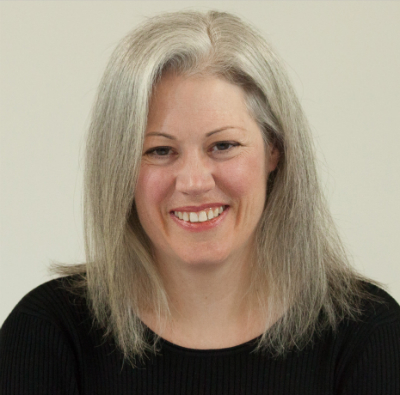 About Kris: Dr. Kris Pryke is a clinical psychologist, registered with the College of Psychologists of Ontario. After several years working in mental health and education, she now provides assessment, consultation, and therapy services on a private basis. She has extensive experience working with a variety of families, helping them manage very stressful events. Her role on the collaborative team can include interviewing the children about their feelings and preferences, providing therapeutic support to the children, co-ordinating parenting plans, or facilitating the process as the “family professional” at all necessary meetings. Barb is an Accredited Family Mediator who has been working with families and children for more than thirty years in Waterloo Region, finding peaceful resolutions and healing conflict. She has clinical and management experience in counselling services, public health, children’s rehabilitation and teaching. Barb has been on the panel of the Office of the Children’s Lawyer since 2009, completing custody and access assessments, voice of the child reports and assisting lawyers to represent children. Family law lawyers often comment on Barb’s skill and talent interviewing children and adults, her thorough and child focused assessments and reports, and her ability to inspire individuals to see things from a different perspective and believe in the positive difference they can make in the lives of children. Over the span of her professional career she has been recognized for her creative and collaborative ability to bring together diverse individuals and focus on strengths and finding solutions that result in better outcomes for children and families. I am a Chartered Business Valuator with extensive experience in the area of Family Law. Working with the other members of your Collaborative Family Law team, I can support you in determining the value of any business assets that you may own, provide support in determining income for support purposes and assist in developing your financial profile for the purposes reaching a settlement in a timely, supportive and cost effective manner. As a chartered business valuator and chartered professional accountant with over 15 years of experience, I can assist you with business valuations, income for support analysis and determination of net family property. I can be your independent financial advisor trained in collaborative family law and alternative dispute resolution. I enjoy working in the collaborative environment helping couples resolve their financial issues to help them move on to the next phase of their lives. Alison Sawatzky - Sawatzky Valuations Inc.
As a neutral financial professional, Alison can help couples evaluate their financial situation, explore different settlement options and help develop creative solutions to complex financial problems. Alison is a CPA (Chartered Professional Accountant), CBV (Chartered Business Valuator) and CFDS (Chartered Financial Divorce Specialist) and has been working with family law clients since 2001. She can assist with all of the financial aspects of family law including business valuation, determination of income for support, equalization of net family property, budgets and cash flow projections. As a Certified Divorce Financial Analyst and Certified Financial Planner, Sara provides financial analysis and projections that will give clarity to your current situation as well as future possibilities. The analysis will help you and your lawyer develop settlement options that meet the best interest of your family. Matthew grew up in Burlington, Ontario, and attended school in Halifax, Nova Scotia, obtaining an undergraduate degree from the University of King’s College and a law degree from Dalhousie University in 2010 before being called to the bar in Ontario in 2011. Matthew has been actively practicing family law for several years, and became a member of Best4All in 2018. Matthew is a firm believer in collaborative law as a viable form of alternative dispute resolution that helps families who are struggling with the difficult issues arising upon a separation or divorce. Matthew is an active member of the Law Society of Ontario, the Waterloo Region Law Association (including FLOWR – Family Lawyers of Waterloo Region), and Best4All. Matthew lives in Kitchener with his wife and their two children. Jennifer is an experienced Lawyer, Collaborative Law Professional and Mediator. Jennifer is well aware of the financial and emotional burden that litigation can cause and devotes much of her practice to resolving matters outside of court, whether it be through negotiation, collaborative family law or mediation. She is experienced and knowledgeable in all areas of family law, including custody, access, child support, spousal support and property issues and has extensive experience in preparing separation agreements, cohabitation agreements and marriage contracts. About Peter: Trained and experienced collaborative family law lawyer and professional mediator. Thirty nine years in law partnership with David Amy and Bill Appleby in Waterloo. Administrator of regular business and education sessions for CFL lawyers. Practicing also in the area of Wills, Estates, and Trusts for special needs individuals. Community volunteer and director on many community boards in the past and currently. Happy husband and father of two adult sons. Pleasant office, convenient Waterloo location, free parking. About Ward: Ward has practiced in Cambridge since his call to the Bar in 1998 where his primary focus has been in family law. Ward was part of the initial group of lawyers to train in the Collaborative Family Law process in 2004. Ward is also proud to be on the Office of the Children’s Lawyer Panel and has been since 2002. The collaborative law process can be a far more effective way in dealing with family separation issues not only in financial terms but in emotional costs as well. Ward would certainly review with you all of your options that are available and would gladly answer any questions that you may have. When Ward is away from the office, he enjoys spending time with his family and rockin’ out on his guitar. About Frank: Frank is a long standing member of the Collaborative Family Law Association of Waterloo-Wellington with over 36 years of litigation, family law and collaborative problem solving experience. He also provides arbitration and mediation services and is a certified mediator. Frank has restricted his family law practice to the collaborative model because in his experience it results in very creative solutions in the most timely and cost effective manner. Heather Caron (B.A. (Hon. ), L.L.B.) practices primarily in the area of matrimonial law and is the principal behind Caron Family Law. After graduating from Wilfrid Laurier University and Osgood Hall Law School, Heather was called to the bar in 2002. Her background includes criminal law and child and family services matters. She has over 14 years of experience, both inside and outside of the courtroom, and has dealt with a wide variety of Family Law matters over the years. Heather has had cases in Ontario Court of Justice, Superior Court of Justice and argued at the Court of Appeal for Ontario. She has appeared as counsel for inmates at their disciplinary hearings at the Grand Valley Federal Institution for Women. Areas of practice include: Separation; Divorce; Litigation; Child Custody & Access; Child & Spousal Support; Marriage Contracts; Matrimonial Law; Notary Public and Commissioner; Property Division; Adoption. About Marlene: I have been a lawyer for more than 30 years. During this time, I have gained valuable insight and knowledge in the area of family law. I believe there are many benefits to the collaborative approach as opposed to adversarial proceedings. Parties should be allowed an opportunity to voice their concerns and be involved in the decisions affecting their lives. My practice also includes real estate law and wills and estate planning. About Lawrence: Lawrence has been practicing primarily family law since 1988 at the firm Oldfield, Greaves, D’Agostino in the historical Erb-Kumpf century old farm house in Uptown Waterloo. He has the training in Collaborative Family Law to assist you and can be reached at (519) 576-7200. Consultations welcome. About Tania: Tania was born and raised in Waterloo Region and was called to the Ontario bar in 2003. Tania articled and worked at two national law firms and worked as in-house counsel at the local children’s aid society before opening her own practice in October 2008. Tania is resolution focused and has experience with negotiation, mediation, and collaborative law. Tania is organized, passionate and committed to her clients. Tania sits on the Board of Directors for a child care center and participates in her neighbourhood association. She is a proud member of the Waterloo Law Association, the Ontario Bar Association and an active member of FLOWR – Family Lawyers of the Waterloo Region. About Shelly: Areas of practice include collaborative family law practice, negotiation and resolution of family law issues including cohabitation, marriage and separation agreements, the development of child centered parenting plans, property and support provisions. I act as counsel in mediations and arbitrations. I am a neutral evaluator as well as a trained and experienced mediator and arbitrator. Skills include: effective listening, coaching effective communication, problem solving skills, creative and analytical thinking. 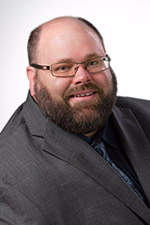 About Joseph: Joe has practised family law in Waterloo Region for over a decade and has extensive experience helping clients resolve a wide range of family law issues, including custody, access, support and property division. Joe’s focus on achieving the best possible outcomes for separated couples and their children fits in well with the collaborative process, by focusing on mutual interests and approaching difficult issues in a civil and respectful way. About Karin: Karin has been practising law for over a decade with a focus on family law, adoptions, and estates. A graduate of the University of Waterloo and Queen’s University she is a firm believer in the many benefits of Collaborative Family Law over the Court process. By resolving differences in a civil and dignified manner, a separating couple and their families can move forward in a much more positive manner. Karin resides in Kitchener with her husband and two children. About Diane: Diane was raised in Halifax, obtaining degrees in Science (1985), Education(1986) and Law (1990) from Dalhousie University and was called to the Ontario Bar in 1992. Diane has a passion for family law and helping clients through difficult family transitions. She is trained in both Collaborative Family Law Mediation and as such, encourages clients to resolve their family law issues without resorting to court. Diane lives in Kitchener with her husband and their 3 children. About Steven: Practicing family law in Kitchener since 1979. Graduated from Queen’s Law in 1977 and UWaterloo (Honours Chemistry) in 1974. After litigating family law and divorce issues for 25 years Steve now devotes 100% of his family law practice to negotiated settlements and collaborative family law. His goal is to resolve family and divorce issues with dignity and support, with an emphasis on minimizing adult conflict and its adverse effects on any children involved. About David: David has proudly served the Region of Waterloo exclusively in many areas of family law since 1999. He is a trained mediator and collaborative legal professional. After spending 16 years going to court, he decided that there was a better way. He is a firm believer in the Collaborative Process (and all alternatives to the court), which is a far more effective and efficient use of time and money and far less destructive to families. What is more is that David believes that people can make their own decisions and believes in assisting those he help to make informed decisions. In his spare time, David enjoys spending time with his wife and 2 children, pursuing charitable endeavors and is an avid baseball fan. About Charles: I have practised family law for over 30 years and in 2004 was part of the first group of Waterloo Region lawyers to train in Collaborative Family Law. I am an enthusiastic supporter of this user-friendly, innovation way of resolving separation and divorce. Contact my office for an appointment to see whether CFL is right for you! 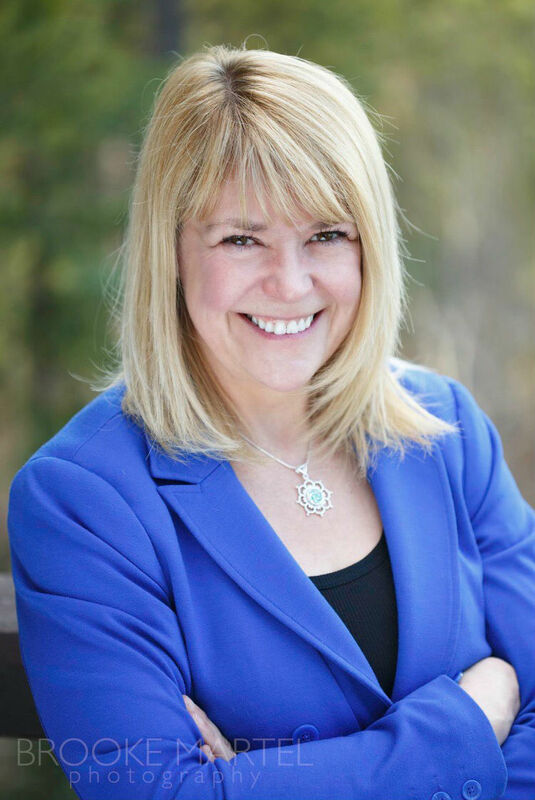 About Jacqueline: Jacqueline S. Mulvey has been practising family law in the Kitchener – Waterloo area for over 18 years. Jacqueline has completed her Level 1 and Level 2 training to become a qualified Collaborative Family Lawyer. She has resolved numerous family law files through the Collaborative Family Law process. Jacqueline is pleased to offer a free one-half hour initial consultation for new clients. Her professional law office is conveniently located near downtown Kitchener. About Richard: I am a life-long resident of the Region of Waterloo and have been practicing all aspects of family law since 1986. I have dealt with complex issues dealing with business and partnership interests, family trusts, real estate ventures and professional practices. I joined the Collaborative law practice group when it commenced as I believe in the benefits of a collaboratively negotiated resolution for my client. I have Level I and Level II training and would be pleased to meet with you to review your matter. About Sandra: Sandra is a native of Kitchener-Waterloo with family roots in the area dating back to 1909. She graduated from Queen’s University Law School and has practiced Family Law exclusively since her call to the bar in 1986. Sandra received training in Collaborative Law in 2004 and completed her Collaborative Law Level II Training in 2010. Sandra enthusiastically supports and implements alternative methods of dispute resolution outside the Court system, with emphasis on Collaborative negotiations and goal-oriented solutions. About Kimberley M.: Kimberley is a life-long resident of Cambridge. She attended Cornell University and the University of Western Ontario and was one of the top 25 students in the Ontario Bar Admission Course in 2002. She has valuable experience in all areas of family law, including specialized training in Collaborative Family Law, mediation and children’s law. Your choice of lawyer is important. We understand the financial and emotional stress of your separation. We’ll review your options so you can make informed choices for your family. Call or email us for more information. About Margaret Anne: Margaret Anne is a lifelong resident of K-W. Graduated from University of Waterloo in 1974 with an Honours B.A. in Philosophy and from Osgoode Hall Law School in 1977. She was called to the Bar in April 1979 and has primarily focused on Family Law in Kitchener-Waterloo. Margaret Anne is sensitive to the entire family dynamics as she represents children through the Office of the Children’s Lawyer. She is committed to the Collaborative process which fits her personal mission statement that being “The best possible result at the least possible expense”. About Leanne: Leanne articled at Madorin, Snyder LLP and after completing her Bar Admission course in London, returned to work for the firm in January 1998. Leanne has been practicing in all areas of family law since 1998. Leanne believes that Collaborative Family Law is the best way for families to achieve mutual resolutions without the need for court. She enjoys serving on the panel for the Office of the Children’s Lawyer for over 14 years, and brings child focused experience to developing creative solutions to help spouses resolve their differences. Debbie is one of the founding lawyers of HD Collaborative Law, a Waterloo-based law firm dedicated to collaborative practice and mediation. Her experience as a traditional family law lawyer led Debbie to seek a better, more peaceful way to help her clients through their separation, without going to court. Debbie is passionate about helping her clients achieve greater certainty and control over the decisions that impact them and their families by using the collaborative resolution process. About Jane: Jane has been a family law lawyer since 1988. She graduated from Wilfred Laurier in 1982 with an Honours Bachelor’s degree in French and Philosophy. She graduated from Queen’s Law School in 1985 and was called to the Bar in 1988. Jane has completed a Certificate in Family Mediation from McMaster University as well as other mediation training. Jane believes in a process that includes the parties as decision makers and skips the hurtful finger pointing. The Collaborative approach groups professionals to assist the parties towards a well-considered resolution. Clients still each have a lawyer. It is about transitioning and getting to the other side of parting as effectively, cheaply and painlessly as possible without the court process. Jane lives in Kitchener with her spouse and two Westies.